gap recently released pictures of their upcoming fall winter 2010 collection. 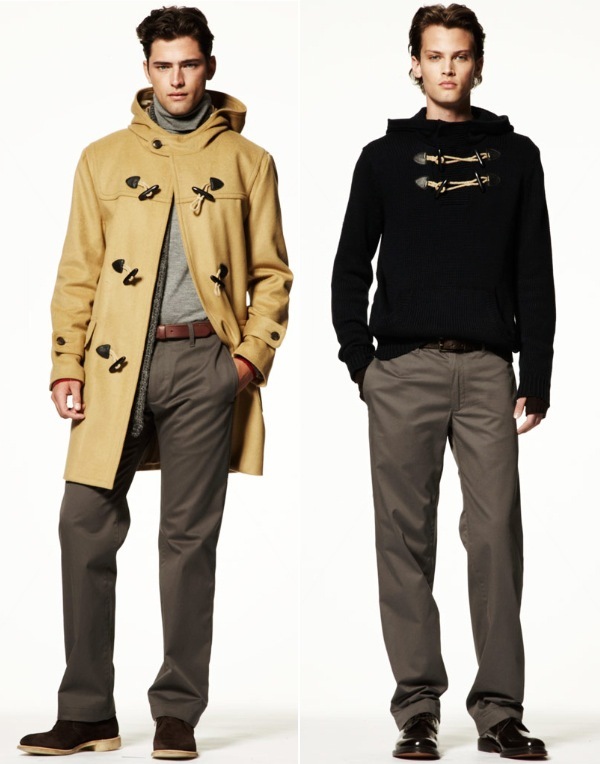 two of my favourite looks were the ones above: the toggle coat and the sweater with similar detailing. i wished the theme would flow through to the rest of the collection, however the rest of the looks were pretty classic and safe. the toggle coat above bears a resemblance to one of the coats that i am personally very keen on: the hooded camel colored coat with leather toggles from gucci fall winter 2010. however gap's version seems to be lacking a little oomph. the toggle sweater looks great though, i hope it translates well on the shop floor. and that's one reason for me to pop into gap when the new collection arrives. GAP has always made me uneasy, the quality is unquestionable, everything is double stitched blah blah (the very shpiel I would dictate during my days of GAP employee) but their price points are questionable, but i guess you pay for the quality! Sometimes I like the clothes that Gap sells however, they never really seem to fit my slim figure well. really elegant, i like these outfits!!! Wonderful jackets with great nautical details. Makes me want to set sail or take a trip somewhere cool and fun to show 'em off. Very snappy! I've always been a fan of anything from GAP... they always come out with perfectly comfortable pieces. I love that they've stepped it up a little bit without loosing that beautiful simplicity of their aesthetic. Btw, how random is it that they tapped O'pry and Fuchs? Or is that just me? haha.